Are you looking for a last-minute summer getaway somewhere off the beaten path? Or have you been dreaming of the 24-hour summer days of the Arctic for ages? Either way, I know the perfect place for you: Malangen Resort near Tromsø! Malangen Resort is situated 70km from the city of Tromsø and can be reached via car only (however, a transfer to and from the airport can be booked in winter). Staying here is worth renting a car and embarking on the 1 1/2-hour drive, though! The resort is located right by the fjord of Malangen in gorgeous and quiet surroundings - 5km from the nearest village. The resort makes a great stop on a road trip through Northern Norway, as you can, for example, combine a stay in Malangen with a visit to the Lyngen Alps, the island of Senja, or the Lofoten Islands further south. In order to help you plan that Arctic road trip, have a look at RoutePerfect for detailed route suggestions and stops. 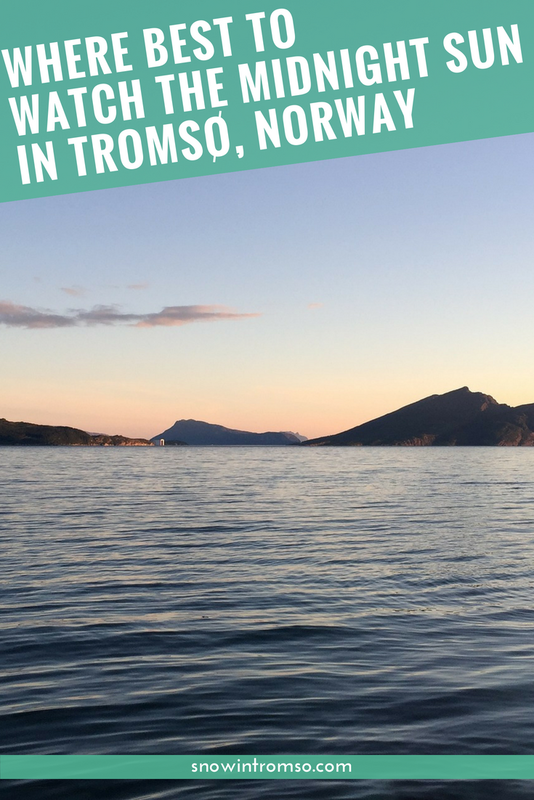 Whether you're looking to go fishing or just simply sit by the fjord in the evening sunshine to read a book - there could hardly be a location that would be better suited! The resort offers two different types of cabins (standard and deluxe), as well as hotel rooms/apartments. The reception, restaurant and hotel rooms are closed over the summer, but all cabins and apartments are equipped for self-catering and can be booked year-round. I got to stay in a standard cabin on my visit. 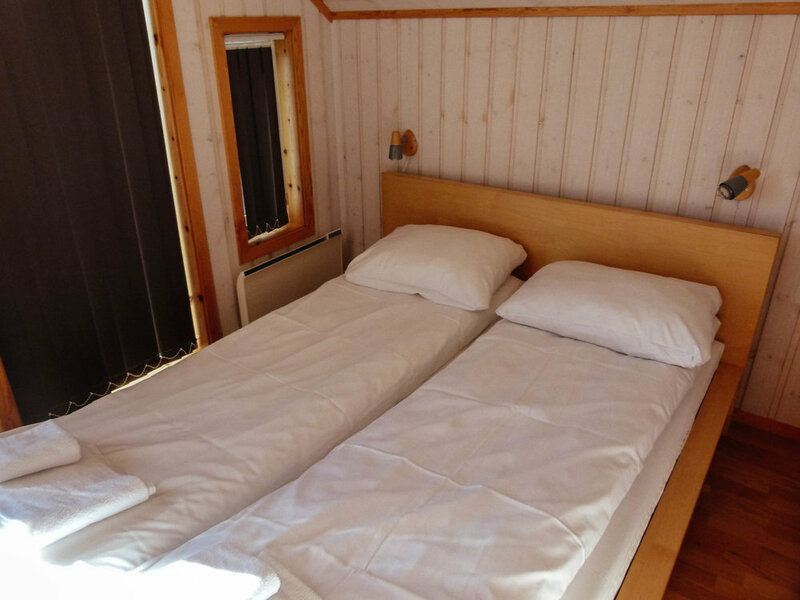 These types of cabins are pretty basic when it comes to furnishing: they come with a kitchen/living room and bathroom with shower downstairs, and one bedroom with a double bed, as well as two bedrooms with a bunk bed each upstairs - all on ca. 60-80sqm. However, who needs a fancy design inside when the views outside are to die for? The cabins come with a patio AND a balcony, so that you're always close to the nature that surrounds you. Let me tell you, there are few things that are more relaxing than sipping your morning coffee with a fjord and mountain view - especially if you're on a work trip! Tweet it: Would you like to experience the Midnight Sun this summer? @snowintromso knows the perfect place to do so! As I said, the reception and thus also the restaurant are closed over the summer, so you'd have to buy groceries at the supermarket (Coop) in the nearby village of Mestervik - though, don't forget to buy your alcohol in the liqueur store (Vinmonopolet) in Tromsø as you can't get any alcohol, expect for beer, in supermarkets in Norway. 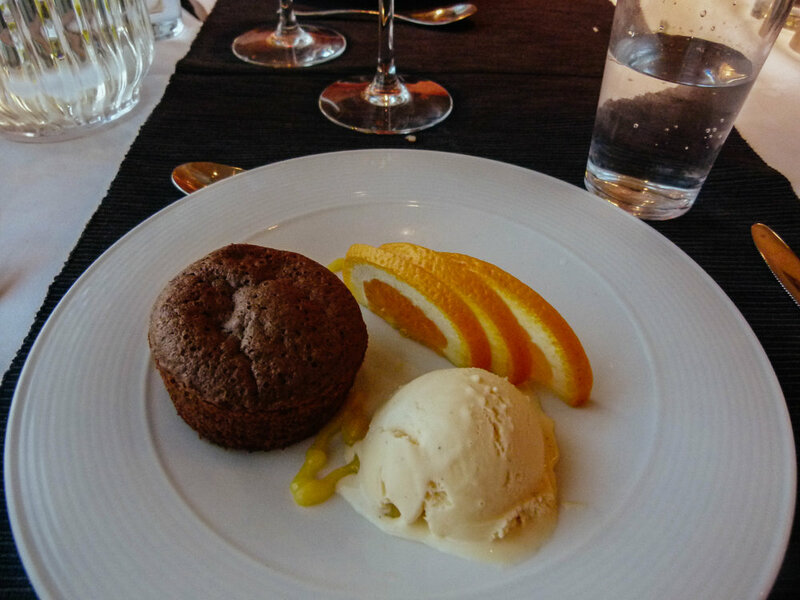 On my visit, we were served breakfast, lunch and dinner at the restaurant of the resort - which you'll be too if you're visiting in the winter season. 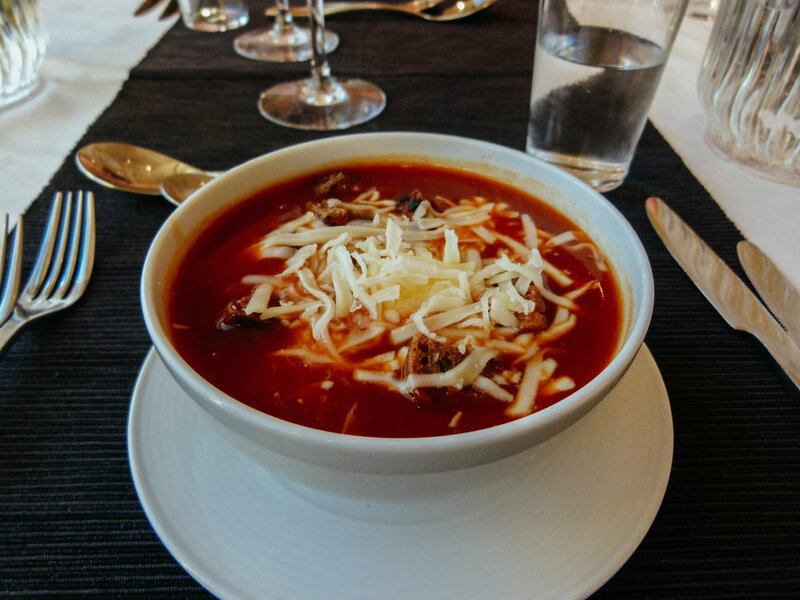 The restaurant mostly focuses on Northern Norwegian cuisine and local ingredients, such as reindeer meat and fish. Although the restaurant has an amazing view of the fjord and a super cozy fireplace, you'd certainly have more privacy (and equally amazing views) in your own cabin - and it might be more fun to prepare your own food with friends and family anyway, am I right?! Have I mentioned admiring the views yet? Okay okay, Malangen Resort certainly has much more to offer than just the views! 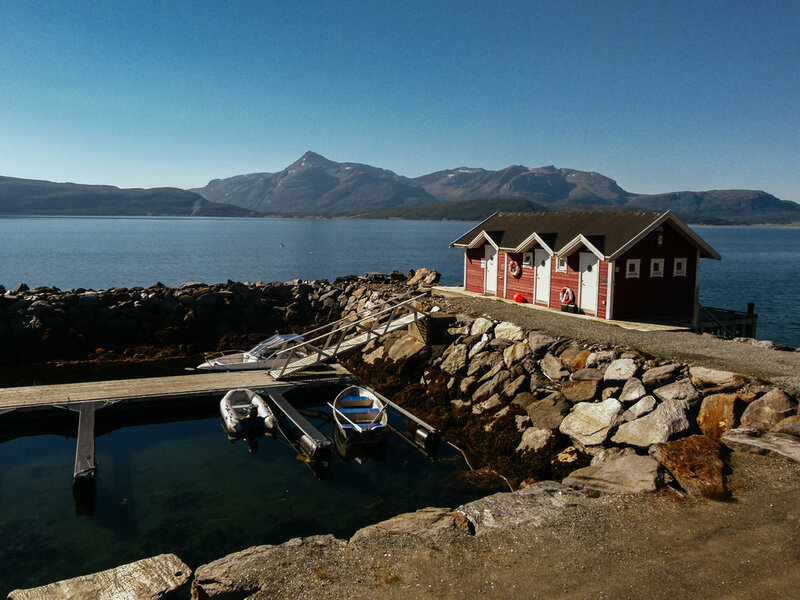 If you're looking to do more than watching the Midnight Sun on your summer trip to the fjord of Malangen, there's plenty you can do at the resort itself, but also in the surrounding area. and last but not least, bathe in the Midnight Sun and relax! Malangen Resort has in total 86 cabins/hotel rooms/apartments in different price categories from luxury (deluxe cabins) to moderate (waterfront and sea view standard cabins). You can, however, make the stay work on a budget as well, if you're visiting with a group of friends! As the cabins are for self-catering, you'll save lots of money on food and if you're lucky, you might even catch your own fish for dinner! >> Find available rooms and prices of Malangen Resort here! Hiking holiday or relaxing by the fjord? What would you most like to do in Malangen?